It’s “TIME FOR YOU” to enjoy an AMAZING affordable BUNDLE!! It’s the perfect time of year to do a little something that’s just for you! I’ve put together something to help you do just that. 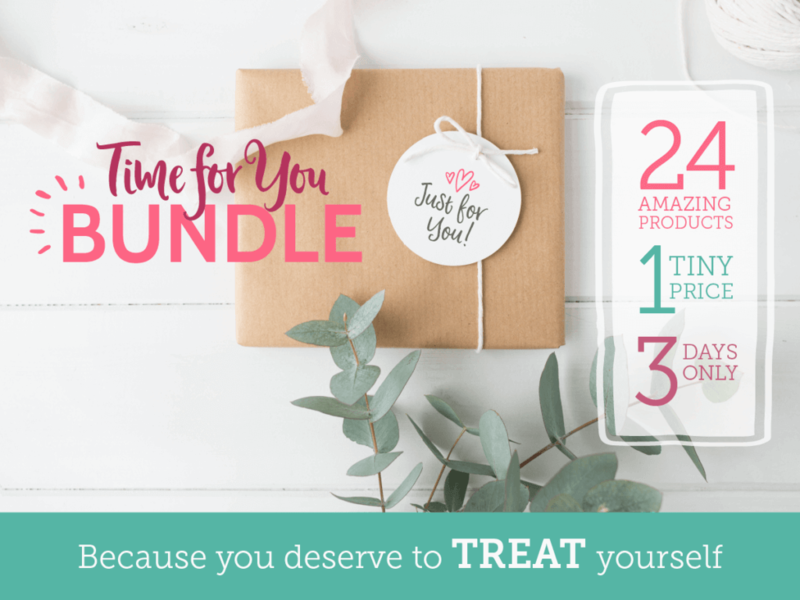 I’m excited to announce the “Time for You” Bundle, a collection of products, offers, and bonuses designed with you in mind! This bundle has everything you need to make your mealtimes a little simpler, your home a little more beautiful, and your life a little bit easier. I’ve collaborated with 24 different bloggers, designers, and brands who have contributed their amazing products to this bundle. 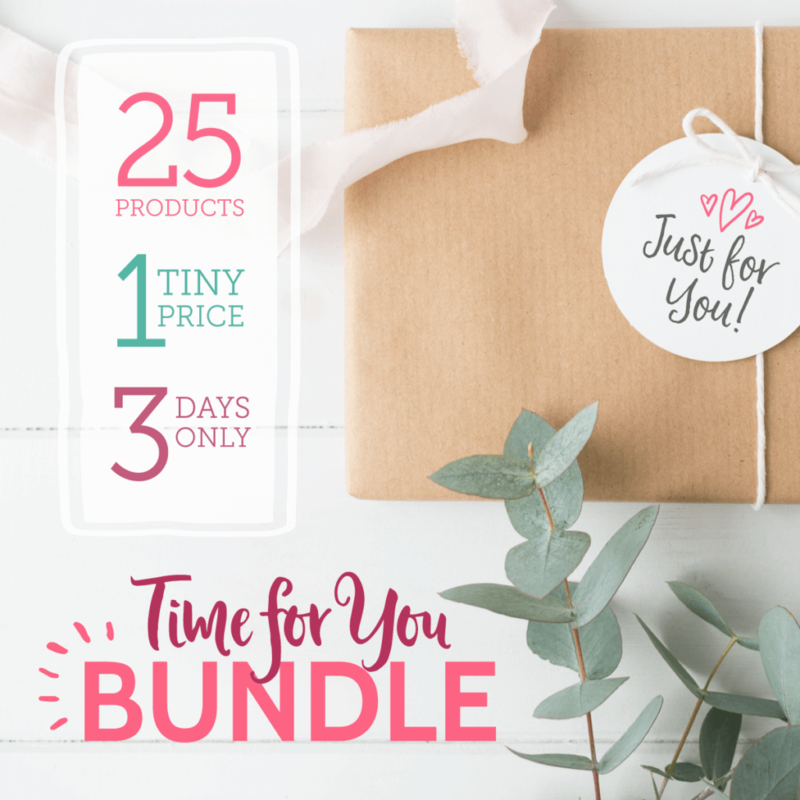 Altogether, the Time for You Bundle is worth over $500, but you can get it all today for just $39! What’s included in the Time for You Bundle? I’m glad you asked! 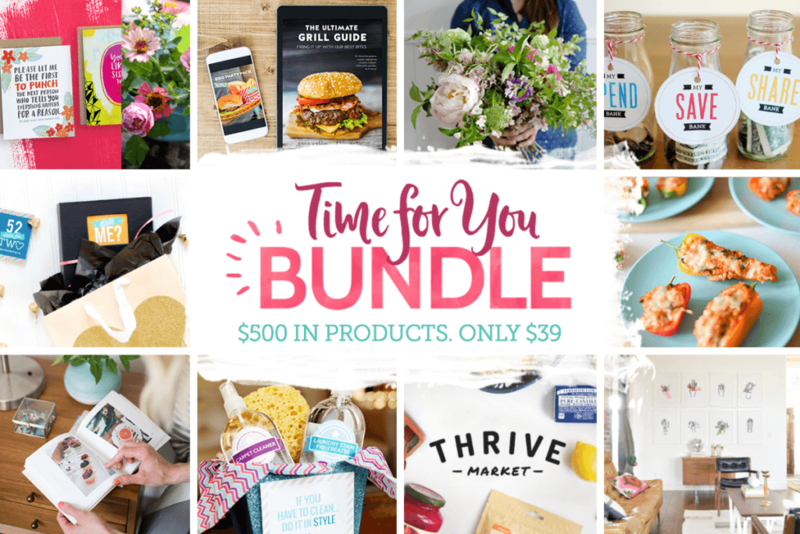 When you buy the Time for You Bundle, you’re getting over $500 in products and offers to make your life easier And, you’ll get it all for just $39. Check it out here. You’ll be glad you did!